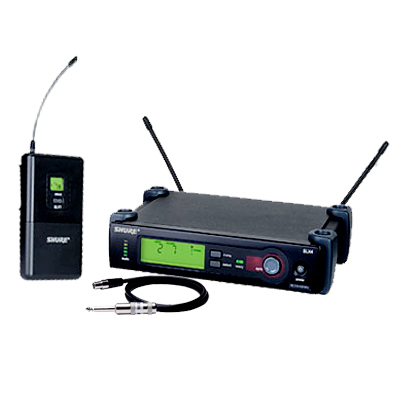 The AirLine 77 UHF Guitar System offers a true wireless experience with no beltpacks or cables, allowing total freedom of mobility. The system includes either a Fender (AF1) style transmitter that plugs into your guitar or bass, along with the CR77 receiver. AF1 AirLine Guitar transmitters plug directly into the jack of the guitar with no cables running to a pack. AF1 plugs in at a 45-degree angle for body mounted recessed jacks. Both offer complete wireless freedom with no beltpacks and solid UHF performance. All of the AirLine transmitters operate on inexpensive and lightweight AAA batteries that offer 14 hours of operation on a single battery. 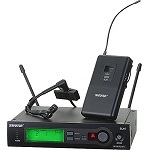 The core of the receiver system is the CR77 true-diversity half-rack UHF receiver. 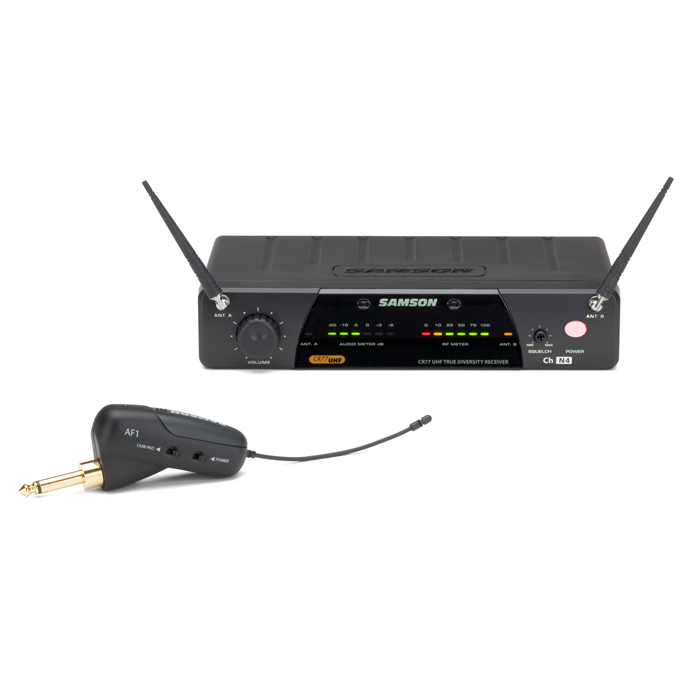 It works flawlessly with all AirLine UHF transmitters. 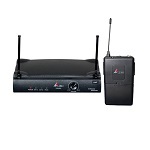 Featuring a front panel display with large multi-segment audio level and RF level LED meters, and a large rotary volume knob that allows easy adjustment of audio output, the CR77 takes all of the guesswork out making your wireless system perform. Its synthesized PLL frequency control circuitry keeps the signal locked and true while dual tuned molded antennas with LEDs monitor the true-diversity operation. 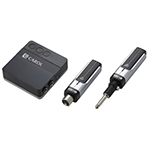 The rear panel features balanced XLR and unbalanced 1/4-inch outputs allowing flexible connection options. In addition, two CR77 receivers can be rackmounted together in a single space rack adapter available as an added accessory. 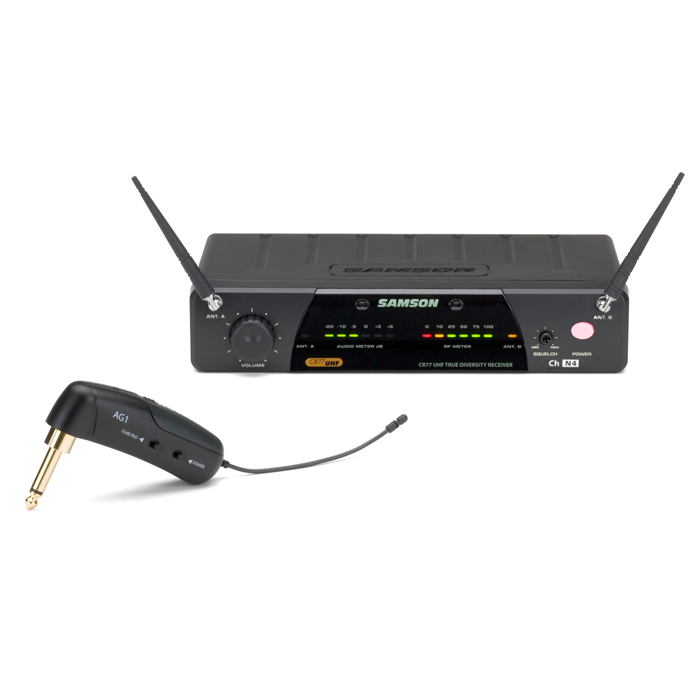 The AirLine 77 UHF Guitar System offers a true wireless experience with no beltpacks or cables, allowing total freedom of mobility. 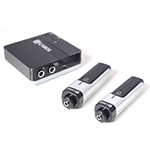 The system includes either a Fender (AG1) style transmitter that plugs into your guitar or bass, along with the CR77 receiver. 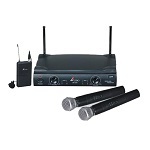 AG1 AirLine Guitar transmitters plug directly into the jack of the guitar with no cables running to a pack. 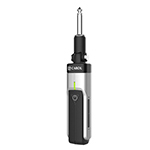 The AG1 is a 90-degree plug suitable for most popular straight angle jacks while. 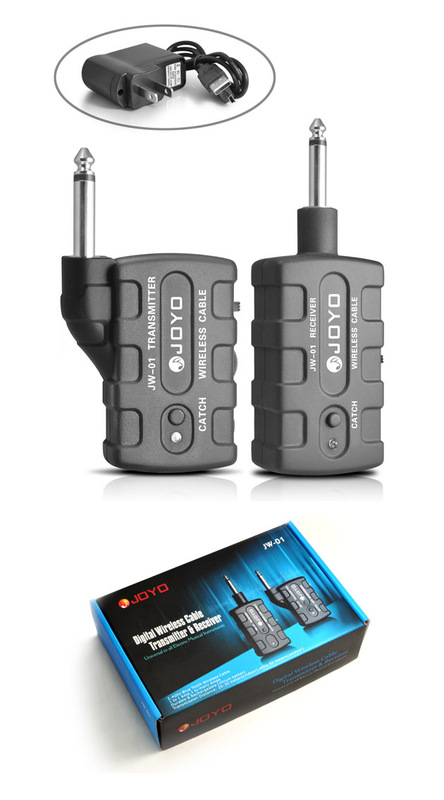 Both offer complete wireless freedom with no beltpacks and solid UHF performance.